Have you ever wondered what the world looks like through the eyes of a person living with dementia? A new virtual reality smartphone app, released by Alzheimer’s Australia Vic, can show you. 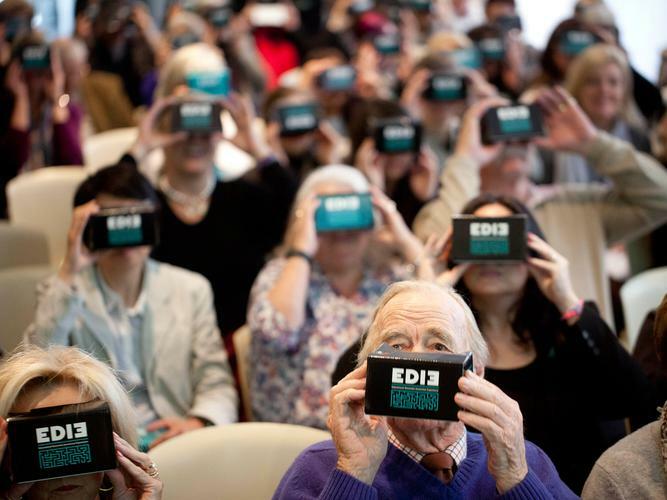 The app, EDIE, which stands for Educational Dementia Immersive Experience and is pronounced Eddie, aims to build empathy in the user for people living with dementia and works with the use of a smartphone and Google Cardboard, a low-cost cardboard virtual reality viewer. The EDIE app explores a moment in time as EDIE, a person who has a diagnosis of dementia and faces the difficulties experienced undertaking the simple activities of daily life. It will be used in some family carer counselling sessions conducted by Alzheimer’s Australia Vic. “EDIE provides the user with a 360-degree immersive experience that enables them to see first-hand the challenges faced by people with dementia,” says Acting National CEO Alzheimer’s Australia Maree McCabe. EDIE is the next generation in the use of games technology developed by Alzheimer's Australia Vic, that started with the launch of the Virtual Dementia Experience™ training workshops in 2013. The app is a teaser for Alzheimer’s Australia Vic’s new ‘Enabling EDIE’ workshops which will commence in 2017. “The interest in virtual reality and the impact of the Virtual Dementia Experience™ cemented our commitment to adapt the learnings into a mobile, free app,” Ms McCabe says. The ‘Enabling EDIE’ workshops will use virtual reality tools to deliver a comprehensive training program for health and aged care sector professionals to develop their dementia practice and ultimately improve the quality of life of people living with dementia in their care. Registrations for the workshops are open on vic.education@alzheimers.org.au. The EDIE app is now available free on iTunes and Google Play. 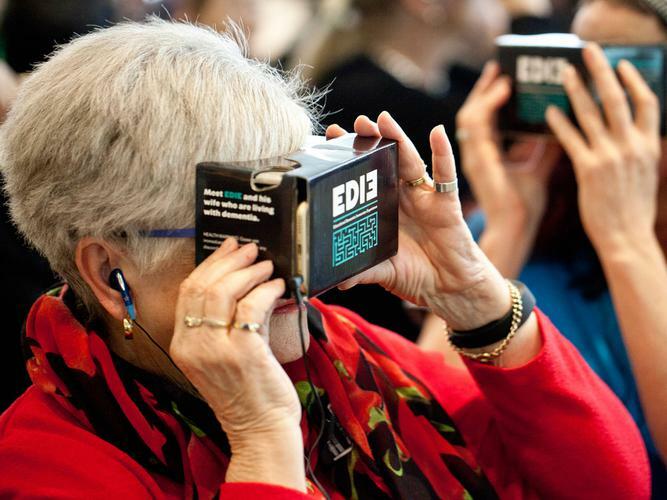 EDIE Google Cardboard headsets are available for purchase for $15.00 at Alzheimer's Australia Vic or by calling the National Dementia Helpline on 1800 100 500.